The Board of Trustees of the Tony Elumelu Foundation (TEF) recently announced the appointment of Ifeyinwa Ugochukwu as Chief Executive Officer. The appointment takes effect from April 1, 2019. Ifeyinwa would lead the team in scaling the impact of the Foundation which is globally recognised for pioneering a new approach to philanthropy with its USD$100 million commitment to empowering African entrepreneurs. The Foundation’s mission is rooted in Africapitalism, which positions the private sector as the key enabler of economic and social wealth creation in Africa. Ifeyinwa served as Director of Partnerships of the Tony Elumelu Foundation since November 2017 and succeeds Parminder Vir, who has been elevated to the Advisory Board of the Foundation. In her new role as CEO, Ifeyinwa would leverage her expertise, experience and network to provide strategic leadership in realising the Foundation’s goal of transforming Africa through entrepreneurship. 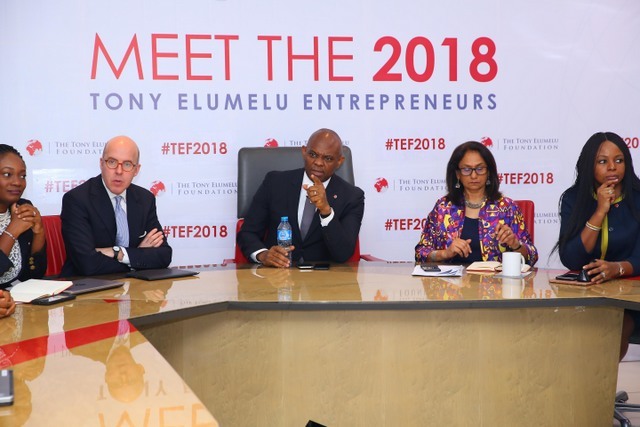 Speaking on the appointments, the founder of the TEF, Tony Elumelu stated: “As Director of Partnerships, Ifeyinwa demonstrated strong leadership and strategic thinking in delivering the Foundation’s mission to transform Africa, securing major partnerships that scale the impact of the Foundation beyond its targeted 10,000 entrepreneurs. She is the perfect candidate to build on Parminder’s immense contribution. “On behalf of the Board, I also commend Parminder, fondly known as the mother of African entrepreneurs, for her notable achievements, significant sacrifice and commitment to building and empowering the next generation of African business leaders. I warmly welcome her to the Board,” Elumelu concluded.